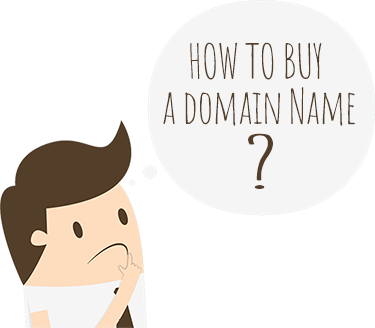 Do you need help buying a Domain Name? You don’t know how to buy a domain name? >>> Then you are here at the right place! In a few minutes you will learn how to buy a domain name. >>> Because owning a domain name is a fantastic idea! If you have your own business, a domain name is essential. It represents your business and is the first visibility in front of potential customers. No one will do business with someone that uses one of the many free (but long and ugly) domain names out there. Your own domain name gives you a lot of credibility. For business approach, a domain name is your brand. Your visitor will remember the name and return to your site. If you get a fine-sounding domain name, people will also tell other people about your site – think of word-of-mouth marketing. A sponsor for your website. A domain name is usually very helpful, if you want good sponsors or advertisers for your website. Again, it gives you credibility and respectibility. No matter if you use the domain name for business or as personal website. It doesn’t cost that much! It’s not like buying a house or new big car. If you save up one Starbucks coffee a month, your in! So there is almost no financial risk to do this. And don’t forget, in the future, a good domain name can become a valuable asset. 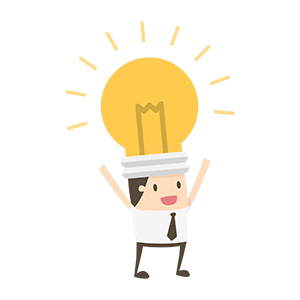 You already have an idea for your domain name? Is your choosen domain name still available? Awesome! But now stop here. Before we do any further steps. Let’s see if your domain name is really a “good” one. Check this important factors before registering your domain name. Better pick a shorter than a longer domain name. The shorter your name, the more memorable it will be. Think of “ebay.com” or “twitter.com”. 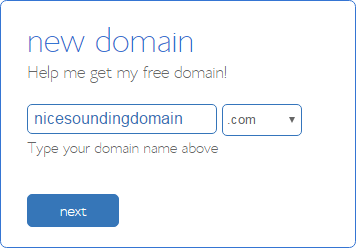 Choose a fine-sounding and easy to speak domain name. Just to get some ideas, here are some examples: If your site is about “food” than choose something like “foodbye.com”. Or is your site about “repairs”? Then “repairean.com” sounds quite catchy. You got the idea! The domain name should be easy to read and write. The more easier to read and write your domain name is, the more people will remember it. Try to pick a unique name. It should represents your brand name, products or topic your website is about. Don’t use hyphens in your domain name. People usually just forget to type those hyphens and cannot reach your website. Exception: When to use hyphens. Sorry for the confusion. But there a also conditions where it makes sense to use hyphens. Just like my site how-to-buy-domain-name.com. In this case, it is simply better to read. Another example: The website “speedofart.com” should have use hyphens. Or did you guess that this site is actually named “Speed of Art”? Well… there are exceptions that makes sense. founding year. Example: “fishingshop98.com”. No one will remember since when (1998) you started your business. So, are you satisfied with your domain name choice? Good! In the end, that’s most important. And your domain is also available? Now i’m showing you step-by-step how to buy a domain name. First, you need to know that a solely domain name is not enough. You also need someone who is hosting your website, where your domain name is pointing to. It is possible just to buy a domain name. But without a webhoster there will be no reachable website. When you type in your domain “mynewdomainname.com” in your favorite web-browser – nothing will happen. An error appears that your website could not be loaded. But that is no big deal. We can kill two birds with one stone. And with the described way the whole process is going to be even much easier. I recommend Bluehost.com for hosting and registering your domain name. Bluehost provides a great support and offers a solid and fast webhosting service since years. In addition to that, it is also one of the cheapest web service providers. On their homepage click on “get started now”. Next you have to fill in your account information. This step is kind of self explaining. In the next section you need to choose what your account plan should contain. Here it comes to the price, so let’s deep dive into this section. The longer your account should last, the more savings you can achieve. So, when you choose 3 years / 36 months you will get the most discount. Honestly, as a beginner, i recommend you to choose 1 year / 12 months. 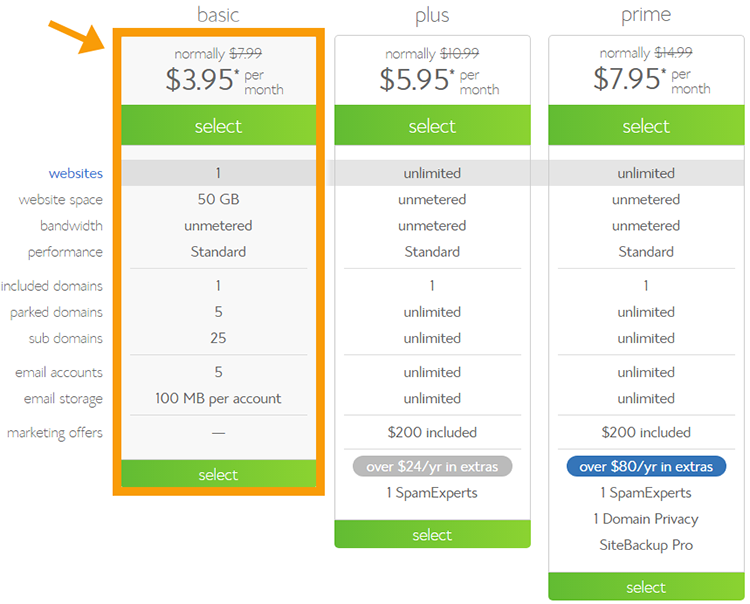 But when you want to stick with your domain name, than of course, a 2 or 3 year plan will a lot of cheaper in the end. It’s up to you! Leave the options “Domain Privacy Protection” and “Site Backup Pro” checked. Both are very useful as they protect your data. The need of the “SiteLock Security – Find” option depends on, how you use your website. Do you want to use the domain name for your business and online-shop? Then you are good to go. Otherwise, when your site is for personal usage only, than it’s like take a sledgehammer to crack a nut – uncheck this option. 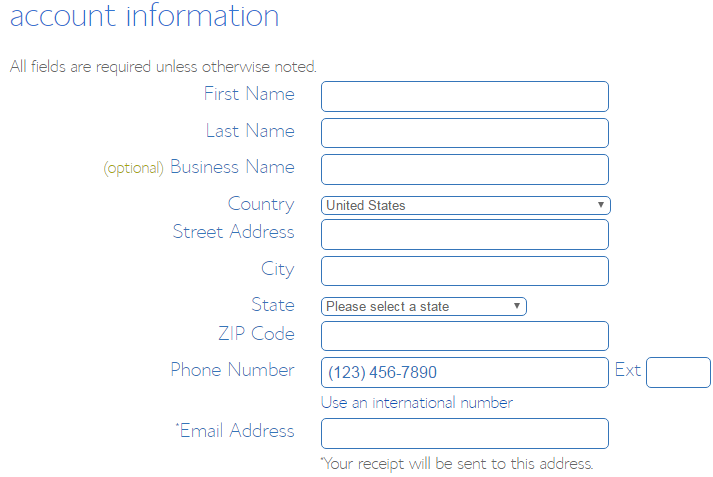 Last but not least, fill in your credit card information in the last section. And finally click on the “submit” button. Congratulations – You just successfully bought a domain name including reliable web hosting service. Wasn’t that hard, right? Bluehost will now setup your account. And in a few days your domain name is “online” and ready-to-go. Got questions on How To Buy a Domain Name? Feel free to contact me at info@how-to-buy-domain-name.com. Or check out Bluehost.com and click on “support” tab right in the top. Then you can make a call or use the chat to talk to them. This way you can directly test out the good supporting service of Bluehost.com for free!